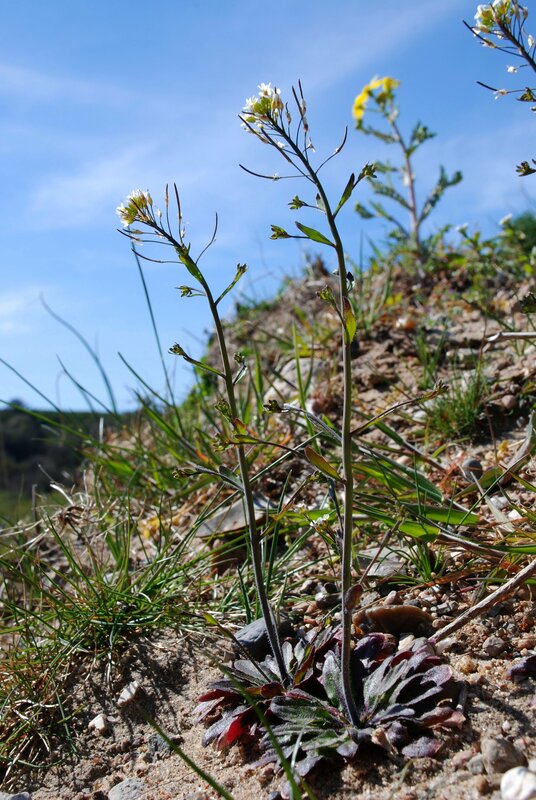 LA JOLLA—We can tell when plants need water: their leaves droop and they start to look dry. But what’s happening on a molecular level? Salk scientists find key players in complex plant response to stress, offering clues to coping with drier conditions. Arabidopsis thaliana plants display stress response phenotypes in the natural environment. The new research suggests that in the face of environmental hardship, plants employ a small group of proteins that act as conductors to manage their complex responses to stress. The results, which are detailed in the November 3 issue of Science, may help in developing new technologies to optimize water use in plants. When water is scarce or salinity is high, roots and leaves produce ABA. 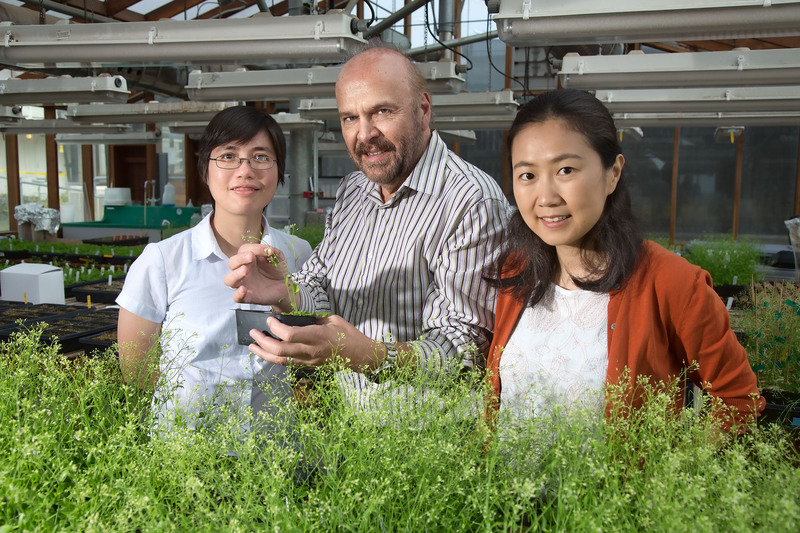 Although the hormone is understood to impact a plant’s stress response, scientists have known very little about what happens globally after it is released.